A full refund will be given minus $25 processing fee and tryout fee until teams are announced. After teams are announced there will be no refunds given. Information regarding each team will be housed on the left hand side. Click on the tab to visit your teams page. As the season progresses we will link your teams schedule from the Metro Baseball website, which has updated scores and schedules. -11 or less if 2 5/8"
-For the 2018 MBL/MBT Season the Bat Rules change!!! -For the 2018 MBL/MBT season all bats in all age groups must have the NEW USA Approved stamp on its taper, BBCOR stamp. 15 year olds must use a BBCOR bat (Batted Ball Coefficient or Restitution). Teams generally play 16 regular season games and up to 5 playoff games after regular season. Tournaments: Teams are registered for 2 tournaments which is included in registration. Any tournaments beyond that are covered out of pocket by teams individually. Commitment: It hurts an entire team to have players with other priorities. If a parent (or guardian) knows that their child will miss multiple games or weekend tournaments during the season due to vacations or other commitments then please consider participating in one of our recreation leagues and allow another player who does not have any attendance limitations an opportunity to make the team. When missing a practice or a game, the player is not fulfilling his responsibilities to his team or teammates. Metro Baseball has to be priority. If you choose to play on a Club traveling team please do not play Metro Baseball. 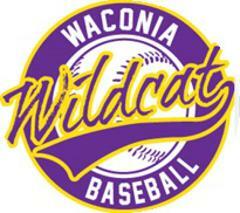 Practice and Games: As a member of the Waconia Area Athletics’ Metro Baseball team you are expected to be at every practice and game. If you do know of a scheduling conflict (example: vacation) the coach should be notified at the initial coaches meeting. All players must assist with cleaning up field and dugout following every practice and game. DO NOT discuss any concerns you may have with your son’s coach until you have talked with your son about the issue first. DO NOT discuss with the coach immediately before, during or immediately after a game you must wait a whole day. (24-HOUR RULE). If after discussing with the coach, you are not satisfied, please contact Tom or Jason. Helmet throwing, bat throwing, yelling at players/coaches/umpires and temper tantrums in general will not be tolerated. It is a privilege to make a traveling team and the players are representing Waconia. If one of the above happens, a coach is instructed to sit the player for the rest of the game. Also, unexcused absences from practice or being late for games may affect playing time. Please keep in mind that this is traveling baseball and there is a commitment to both practice and games.